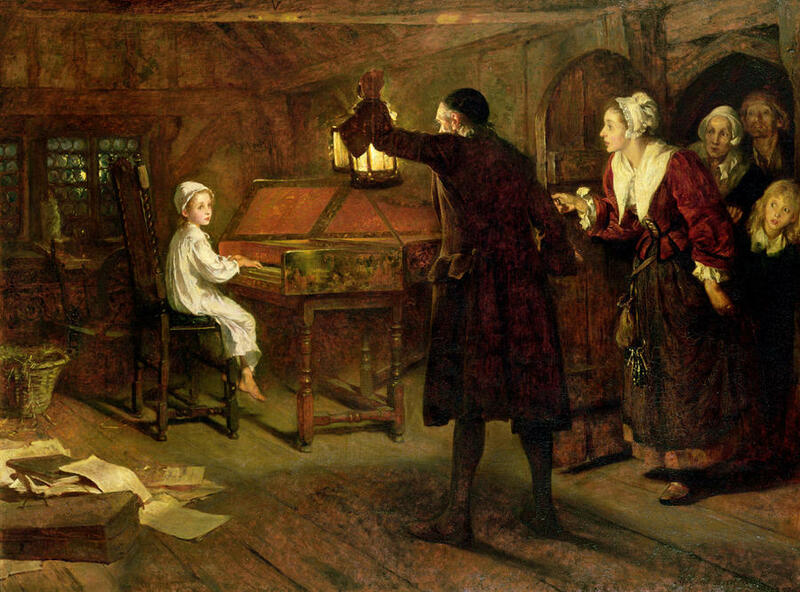 Margaret Isabel Dicksee (British, 1858 – 1903) painted this emotional scene, as the parents of George Frederick Handel discover the child’s talent for music. Completed in 1893, this oil-on-canvas work measures 91.5 x 122 cm, and it is held by the Royal Pavilion, Libraries & Museums, Brighton & Hove, United Kingdom. Posted in Artwork, Big Picture | tagged children, clavichord, composers, emotion, families, fatherhood, genius, George Frederick Handel, gifted, home life, motherhood, music, musical, musical genius, musicians, nighttime, parents, people, piano, women in art. The permalink.